Famed for his enthusiastic DJ and more notably 'live' shows, K90 has performed at many of the worlds premier dance events including 'Godskitchen - Global Gathering', 'Creamfields', 'SW4' and 'Tidy Weekender' series (UK), 'Dance Valley' and 'Q-Base International Dance Festival' (The Netherlands), the long running 'Advent*jah' Festival (Australia), The Gallery (South Africa) and 'Checkpoint Charlie' (New Zealand) to name but a few. Combine these performance credits with regular headline slots at some of the UK's biggest clubs such as 'Polysexual', 'Frantic', 'Slinky', Wildchild' and 'Goodgreef' and you are faced with is now a truly global brand. Credited for his numerous productions, releases and remixes K90 is responsible for creating the clubland phenomenon that is Red Snapper - arguably one of the most renowned hard dance tracks ever made! Not content merely with single releases Mark also boasts four artist albums (K90, Urban Anthems, The Inner Limits, Destinations) and two DJ compilations (Recoverworld 2 - Sub Culture, Wildchild) to an ever increasing production portfolio fueling the opinion that K90 is one hottest names in dance music today! 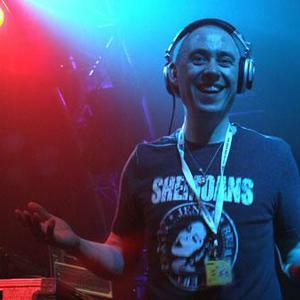 Following on from a long and fruitful relationship with long time record label 'Recover Records' Mark's love affair with the dance music industry continued to grow with the launch of his own label 'Dataless Recordings' imprint in 2004. With the label project now in its fourth year this greater challenge has given an artist whose name and reputation are already synonymous with quality, license to develop the K90 Empire even further.